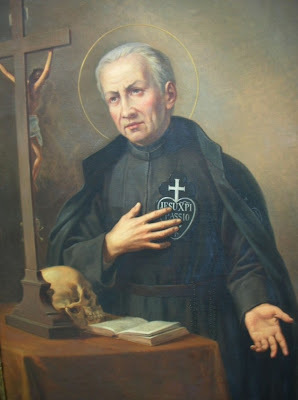 St. Paul of the Cross (1694-1775) was one of the great mystical souls of reparation and devotion to the Passion of Jesus. He endured terrible sufferings and spiritual trials, while at the same time was given extraordinary mystical gifts, graces and consolations, including remarkable visions of our Lord and the Blessed Virgin Mary. He also had visions of souls in Purgatory, who were allowed to come into his cell and tell of their sufferings. At times rays were seen shining around Paul's head. He was known for his heroic sacrifices and mortifications, such as fruequent fasting, late night prayer vigils and travelling about from one mission to another without shoes throughout all seasons of the year. St. Paul was once working on some soldiers at Portecole in an effort to reform their lives. One not only resisted conver­sion but also made blasphemous and obscene remarks about the matter. This soldier had been sitting outside on a stone and had been trying to draw a sentinel nearby into conversa­tion and a game of cards. The other remonstrated with him, saying that the holy priest Paul might pass by at any moment. The other soldier reacted strongly: "I will be as soon con­verted as that ox returns again to life!" He was referring to the lifeless body of a slaughtered ox that lay nearby. The butcher had already partially flayed it. But at the soldier's unwise and irreverent remark, the ox rose up alive and ran with wild fury at the soldier sitting on the stone. He managed to escape, and the ox hit his own head on the stone where the soldier had been sitting but a moment before. The stone was drenched with blood and the ox died for good there. At the close of a mission given by Father Paul in Or­betello in September of 1741, a child was gazing out a win­dow at the crowd which was leaving the church. He fell to the pavement and was instantly killed. Medical assistance was called for and sadly the boy was pronounced dead. At that moment St. Paul of the Cross was about to enter a boat to go elsewhere. The bereaved parents ran to the shore and told him of the tragedy. He went back with them and contemplated the corpse of the innocent child. 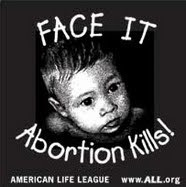 Paul re­mained in silent prayer for a few moments and then spread his hands over the little body. The onlooking crowd was silent, waiting to see what St Paul would do. To the absolute astonishment of all, after a few sec­onds the child came to life, and thus Paul restored him to the arms of his parents. On another occasion, the saint was a guest at the house of Signori Goffredi, where a hen was served for dinner. St. Paul said, "You have inadvertantly done wrong to kill that poor animal, because with her eggs she was the support of a poor woman to whom she belonged. Let us do an act of charity. Open that window." Upon the man opening the window Paul then blessed the hen--which was already cooked, in the Name of the Father, and of the Son, and of the Holy Spirit. He had hardly pronounced the words when the hen suddenly returned to life, was miraculously covered with feathers, took wing and went off screaming out the window, to the house of her poor mistress. Signori Goffredi soon afterwards found out that the hen had been stolen by the man who sold it to her. This miracle was recorded under sworn oath by the eyewitness to the miraculous event. On one occasion when St. Paul of the Cross was preaching from a platform he became too weak to continue, so his guardian angel removed Paul and took upon himself Paul’s appearance, and commenced speaking the mission for him. On another occasion, the angel also went, under Paul's appearance, with a flashing sword to threaten an unrepentant sacrilegious sinner who had been sinning in a very serious way for over 50 years. Needless to say after the extraordinary appearance of the angel, the man hastened to confession and was reconciled with God. Other supernatural powers were given to Paul in abundance. After having given a mission in Piombino, they brought him on his way to the ship, and he was seen to board the boat and set sail by an large crowd of people. Dr. Gherardini, who accompanied him to the vessel, did not leave the shore until the vessel was out of sight; but within a few hours he met Paul coming out of the house of a gentleman in town. Not believing his own eyes, the doctor approached him, and said, "How is it, Father Paul, that I find you here? I just saw you setting sail from the port, and I kept my eyes on the vessel and on you until you were out on the high sea. How is it that you came to be here?" "Please keep this to yourself" answered Saint Paul, "I came here on an errand of charity" and then he suddenly disappeared. Even those whom Paul employed in the service of the missions were made the operators of such wonderful graces. During a mission to Montcromano he wanted to send a letter of great importance to Sutri, and requested one Matthias Marc* to do the errand. The latter hesitated on account of the River Biedano being impassable. "Go! " Paul said to him. "I assure you of the protection of God, and if the waters be as high as the top of the trees, I tell you to cross them, and fear not!" Knowing of his great virtues and holiness, Matthias had faith in Paul's words, started on his errand, and reaching the river where the current ran very high, he entered upon it, with his horse walking above the waters as if on firm ground. Some travellers, waiting for the waters to subside, saw the remarkable wonder, and exclaimed, "He must be carried by the devil for we can even see the shoes of his horse!" In spite of these miraculous proofs of the divine mission which Paul had received from God, some persons were insensible to his appeals for reform. Sadly and reluctantly, Paul predicted the punishments of divine justice on those who refused to listen to the loving counsels of mercy. In Pittigliano, a few men who were often giving public scandal for their notoriously bad behaviour used to meet in an apothecary shop, to make contemptuous and ridiculous remarks about the holy missionary, and about the things of God. On one occasion when St Paul was given a mission in that town, they chose to repeatedly strike at a brass bell from a Pharmacy shop that was directly across from the Church in which Paul was preaching, to the greatest annoyance and distraction of Paul and the faithful who sought to gain grace from his holy preaching. Paul sent the men a very civil message, begging of them to desist; but their answer was that in their own house they would do as they please stating "Let him mind his own affairs." Being told of their unrepentant reply, the servant of God then raised his eyes to heaven, and publicly exclaimed, "Then, let those men be on their guard, lest God should punish them!" To the astonishment of those who heard the warning, each of the men died within a very short time, one after another; and, as the blessed Paul had also prophesied, that "that Pharmacy shop will be closed because of its owner" and in fact the Pharmacy failed, having soon thereafter gone bankrupt. Nice article..Saint Paul of the Cross battles with the demons are also remarkable. I see there are some examples on this website. IPraised be to God. For of all the miracles I have ever read even the miracle of raising the dead. The cooked chicken restored to life and getting feathered again! is the greatest reminder to me of Heavenly Fathers sense of humour. And His willingness to reveal His Almighty power in the most ordinary necessities of life. In this case a poor womans need for her chicken and the eggs she needed for her daily nourishment. great faith just like the aposels. St. Paul of the cross, pray for us poor sinners. Help us to reform ourselves and become His worthy disciples.